As a member of County Carlow Chamber of Commerce, you and your company will be part of a powerful network that crosses all sections of business. Representing hundreads of businesses in County Carlow, we aim to help our members do business. The Chamber serves as the primary business network in County Carlow, while at the same time acting as a strong and independent voice for all sections of County Carlow business. Our committees are engaged in issues such as transport, enterprise, e-commerce, marketing services, communications and county development. 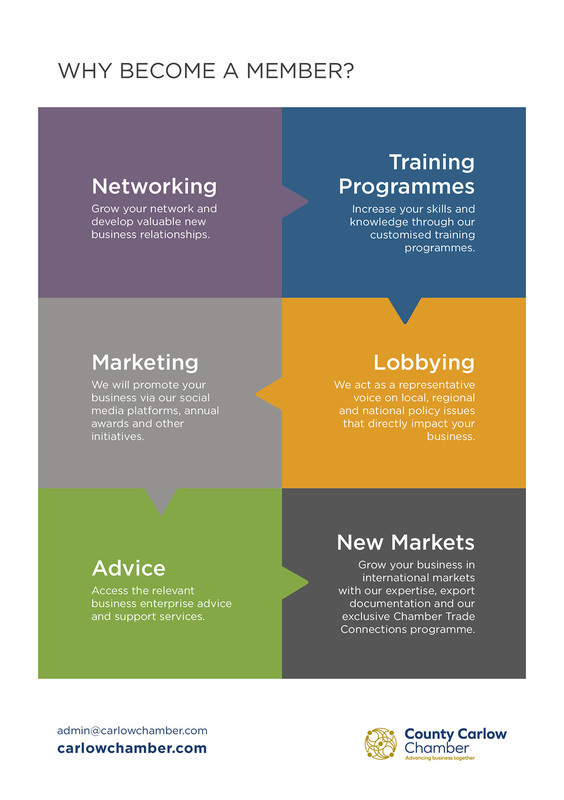 Our aim is to help our members do business and to create an enviroment for businesses to flourish.